Peter Broderick has launched a new tribute to the hugely influential work of composer Arthur Russell. The project seemingly began at the invitation of Rasmus Stolberg - Broderick's former band mate in Efterklang - who invited the composer to perform at his festival in Aarhus. Peter Broderick began devising a set based on work by Arthur Russell, a key inspiration on his own work. New album 'Peter Broderick & Friends Play Arthur Russell' was given a free download release on Christmas Day, and it's now being given a wider release. Available on streaming services and physically, it features 10 brand new arrangements, with two songs having never been officially released in their original form. 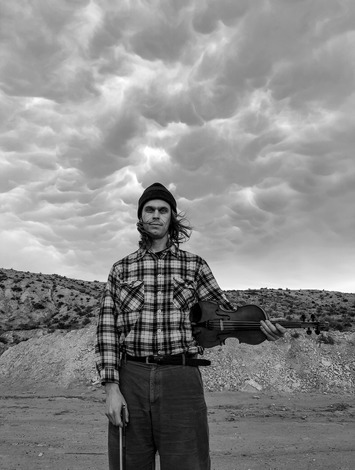 The cast includes Arthur Russell’s niece Rachel Henry and nephew Beau Lisy, with Peter Broderick expressing "his deepest gratitude to all of Arthur’s family, friends and fans who have been so warmly welcoming of his own versions of these tunes."